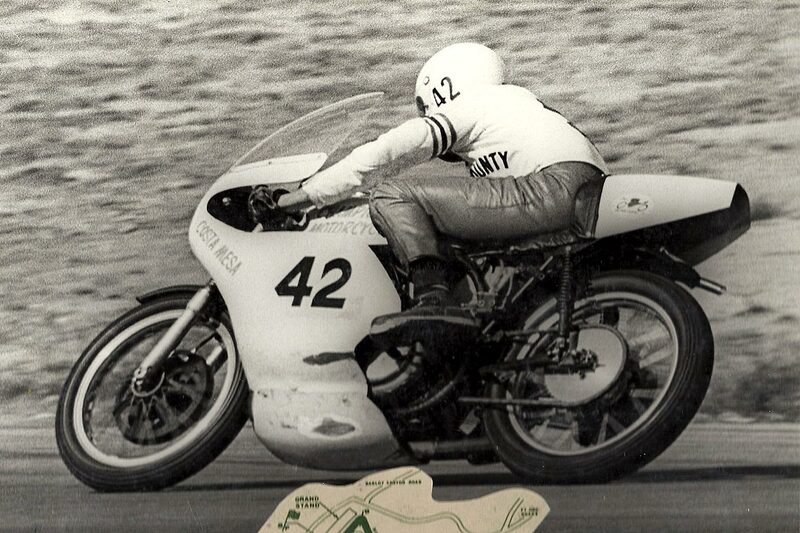 Tom White racing at Laguna Seca National ’73. Photo by Dan Mahoney. 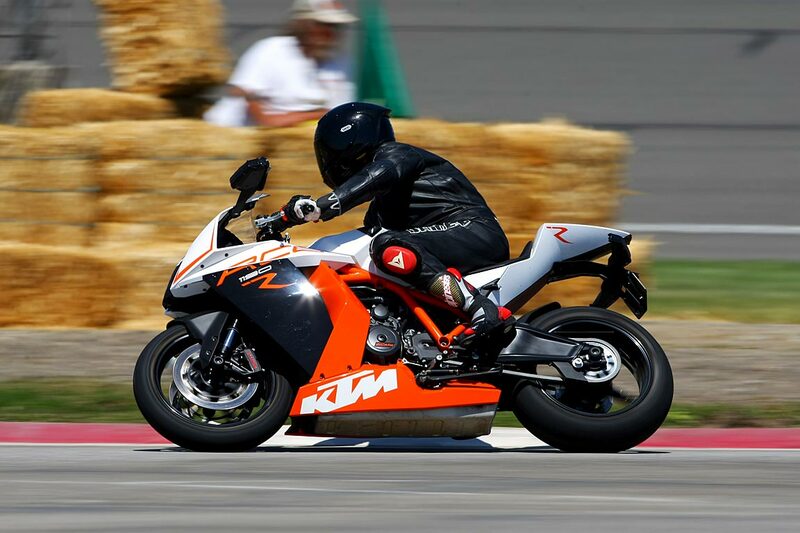 Tom White taking turn 6 at April 2014 track day put on by FastrackRiders. First road race in 20 years. Photo by CaliPhotography. 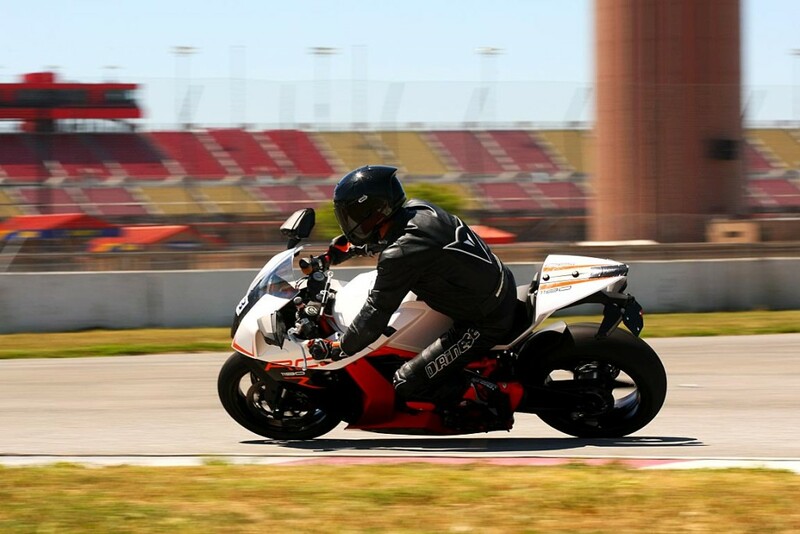 Tom White taking turn 9 at April 2014 track day put on by FastrackRiders. First road race in 20 years. Photo by CaliPhotography. 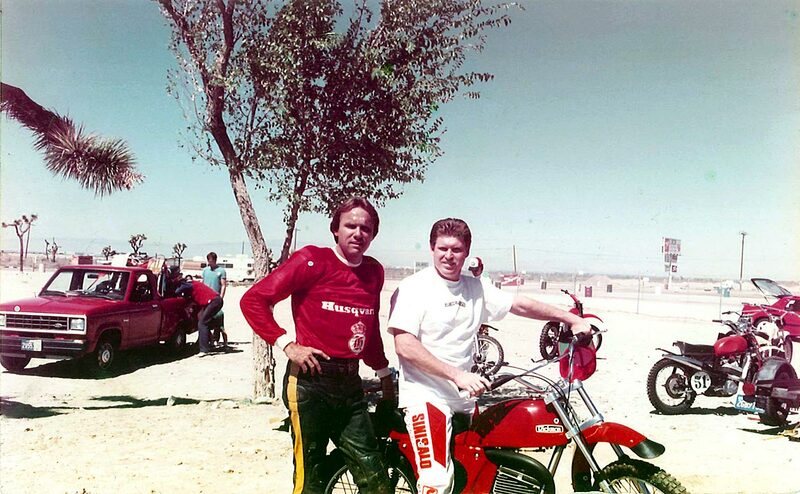 This is at LA County Raceway in Palmdale, CA. 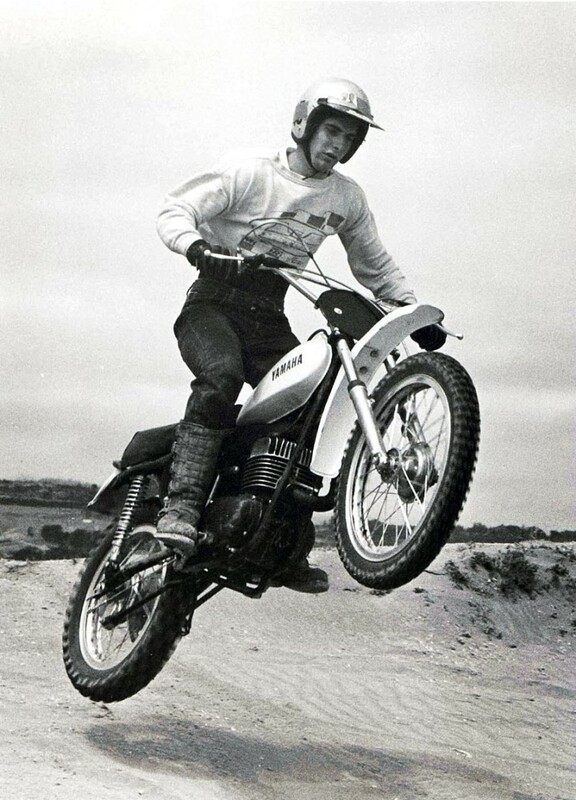 This is the Rickman that Greg gave me on my 40th birthday – the 3rd bike in the collection. 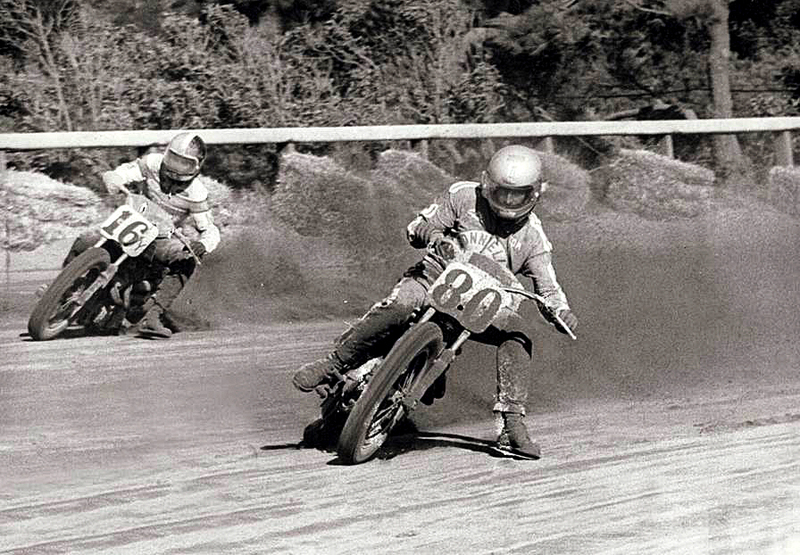 Marty Smith on a factory Honda RC125 followed by a lowly Kelly Owen on a Mettco Penton in the 1974 Superbowl 125 Final at the L.A. Colosseum. 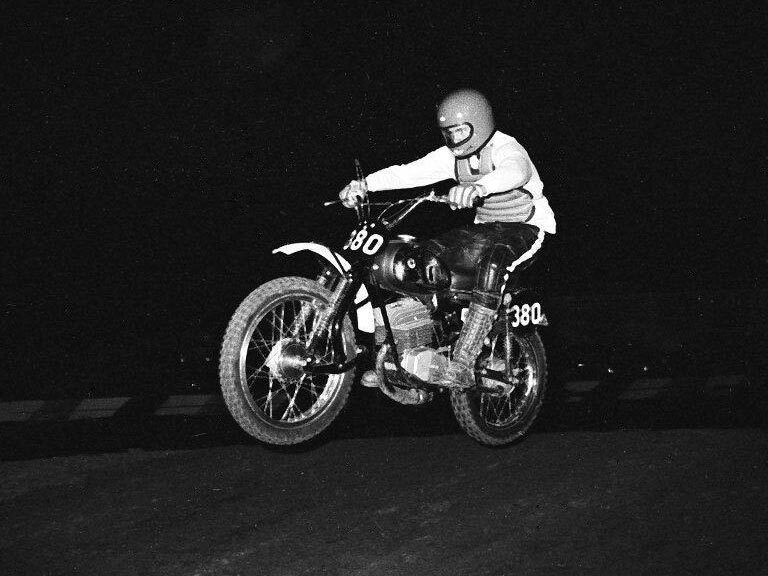 A 1971 AT1 at Ascot’s Wednesday night motocross in 1972. 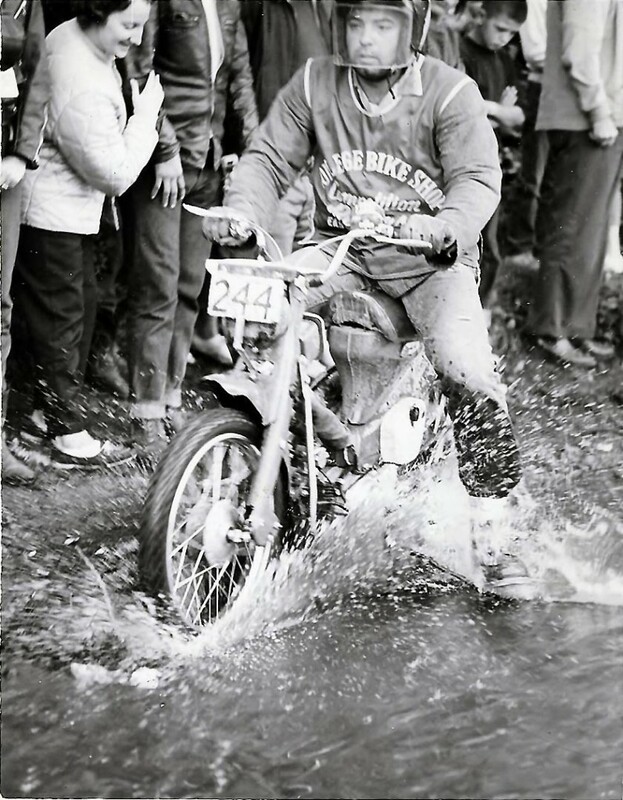 Just a cool photo. Tom White (orange) testing his new safety gear at Glen Helen 2015. Honda Trail 90 Step-through in the Jackpine 500 Enduro 1971. 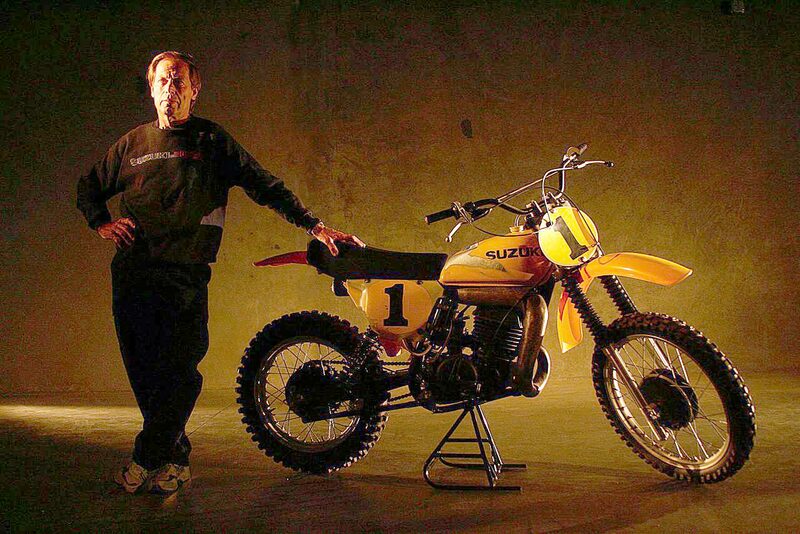 Roger DeCoster and his 1976 World Championship winning Suzuki RM 370. 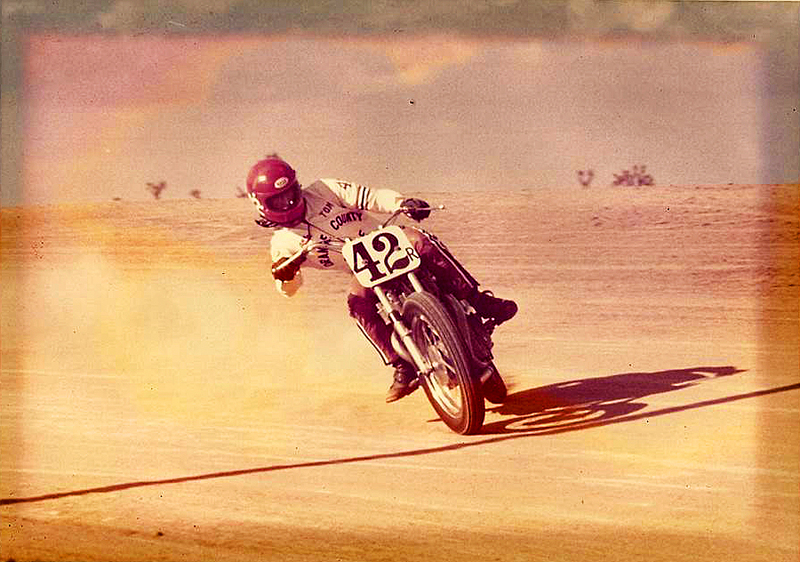 Mike Skelton on his DKW 125 at Irwindale Raceway 1972 (this is the DKW in the collection). 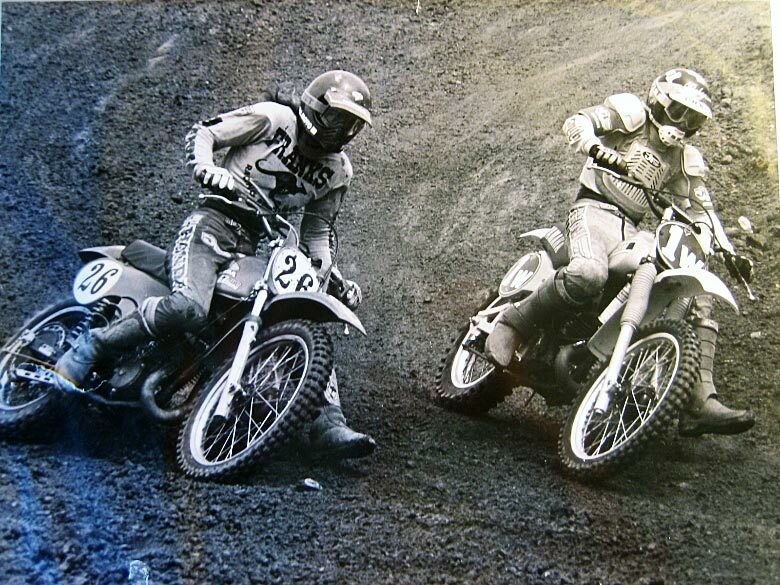 Tommy Croft on the Kelvin Franks Honda 250 alongside a local Yamaha pro in 1980. 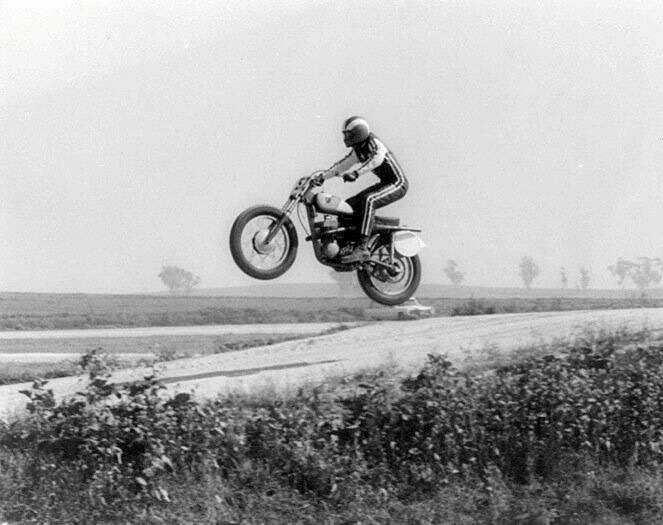 Don Emde flying his Suzuki RH67 twin pipe in 1968. 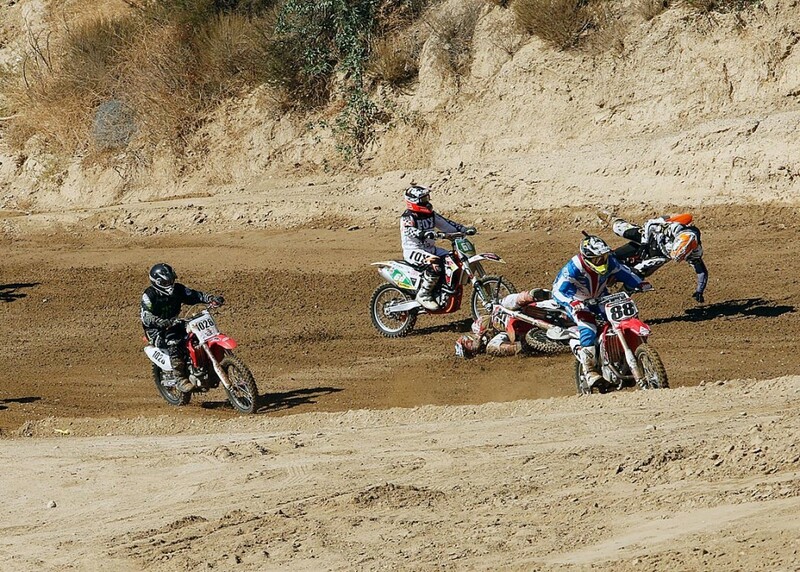 Chris Carter and his preproduction sand cast DT2 MX Yamaha at the fall Inter-Am. 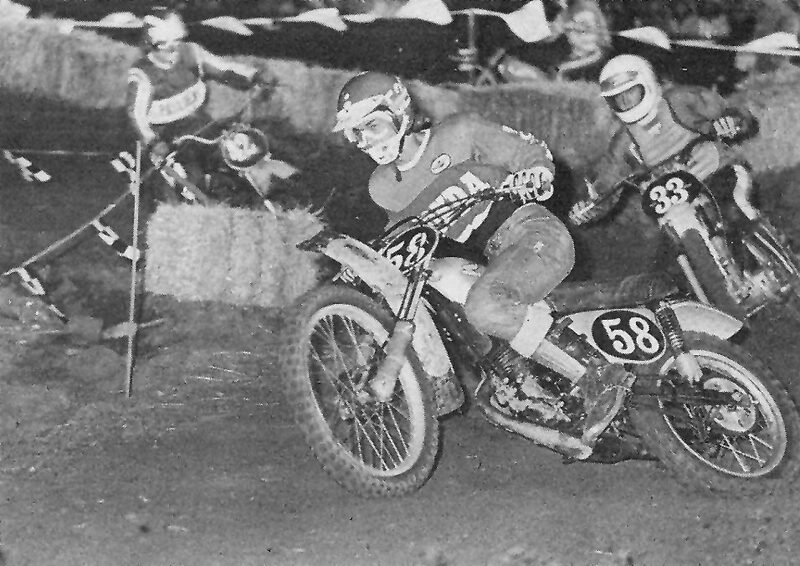 Tom White winning the 1974 San Francisco’s Golden Gate Fields Trophy Final at the AMA Nationals. 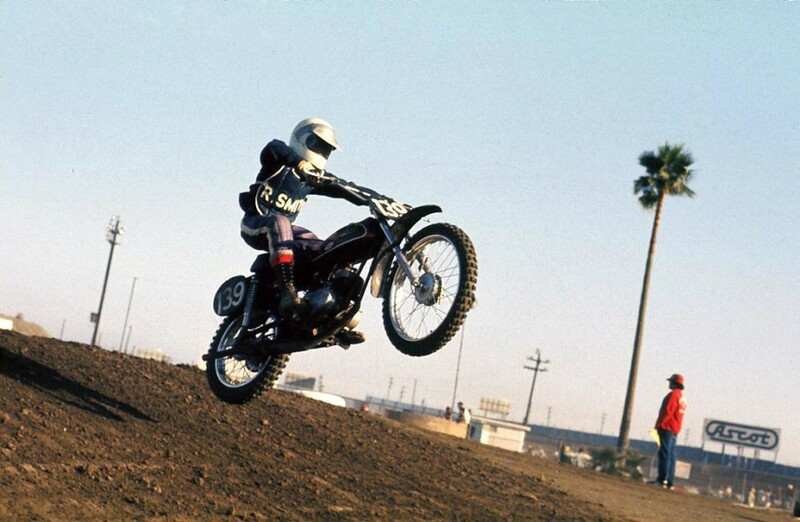 Tom White at Adelanto Raceway in 1973. 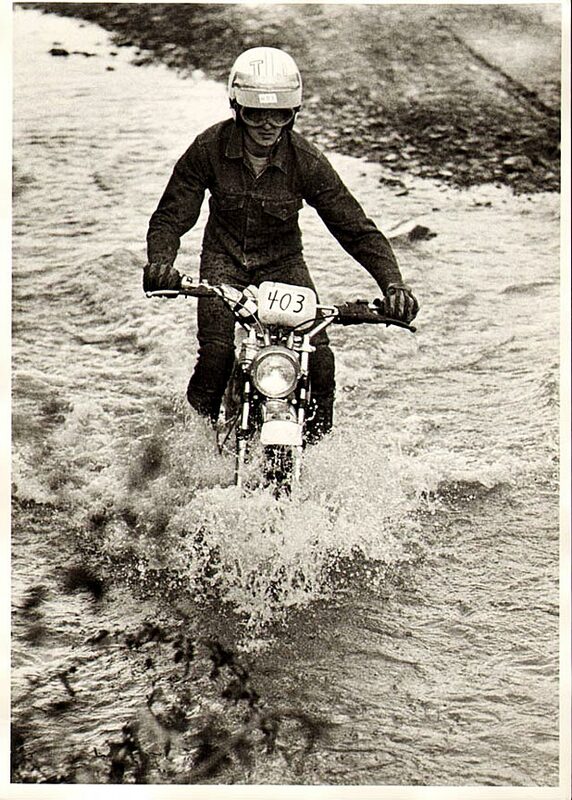 The winner of the Open Expert main.